Prepare for the bigly, CAT4 gaslighting coming to a newspaper near you by the thrice married, six-times bankrupt, self-made trust-fund-tax-fraud-degenerate P-grabber-in-chief. I believe that the proponents of Medicare-for-All have a long way to go to prove their case. Here at home, I recall that the 2016 ballot initiative; #69; went down in an overwhelming defeat with the NO votes getting almost 79% of the total. It's hardly comparable, chb. A small state, in isolation, simply can't mimic a national program. how much? I can't tell, so I'm voting no. probably a variety of other incompatible positions. Worst flaw wa s that voters already on medicare, like me, would have seen our state taxes double or triple while receiving little or no new benefits. Yeah, I'd forgotten that one, or I would have added it right below "company provided insurance." Seems like the same probably would be true of those on military health care. Even military care has changed. When a dependent turns 65 they are sloughed off to civilian Medicare. Interesting summary on the Colorado Senate status popped up on DailyKos elections yesterday. Overview: While Districts 5, 6, 15, and 22 are on the edge of the playing field, it would be a surprise if any of those seats were to change parties. Thus, control of the Senate will likely come down to which party wins two of Districts 16, 20, and 24, with 16 probably being the median seat for purposes of control of the chamber. Given that the battle for the Senate is taking place in seats that Clinton won by 5 to 9 points in a year that’s shaping up to be good for Democrats, they have to feel confident about where the fight is taking place. In order to hold the Senate, Republicans will have to either hold both Districts 16 and 24, or lose one of those two and pick up either Districts 5 (unlikely) or 20 (more likely than 5, but not by all that much). As a result, control of the Senate Leans D.
It would be a huge comfort to see Ray Scott in the minority, since his re-election campaign consists of hating Prop. 112 and bragging that being assistant majority leader in the Senate would mean wonderful things for GJ. True, but he can still be almost all bad. Have you ever met the reptilian Ray Scott? He stands out in a sea of warthogs…its all about the willingness to do as you are told and say what you are instructed to say. It does not highlight the discerning and intellectual job applicant….hence, Ray Scott. The report expects U.S. #economic growth to decline as #fiscal stimulus begins to unwind in 2020, at a time when the monetary tightening cycle is expected to be at its peak. Yup, and the last gasp GOP will try to cut all taxes to zero before the 2020 election to revive their flickering hopes. BTW — here's an article about how Trump jumped into the USFL and MAGAed it to death (spoiler alert — he used exactly the same tactics he's using today on the world). Donald Trump’s chaotic foray into pro football was a precursor to many of his actions today, Jeff Pearlman writes. 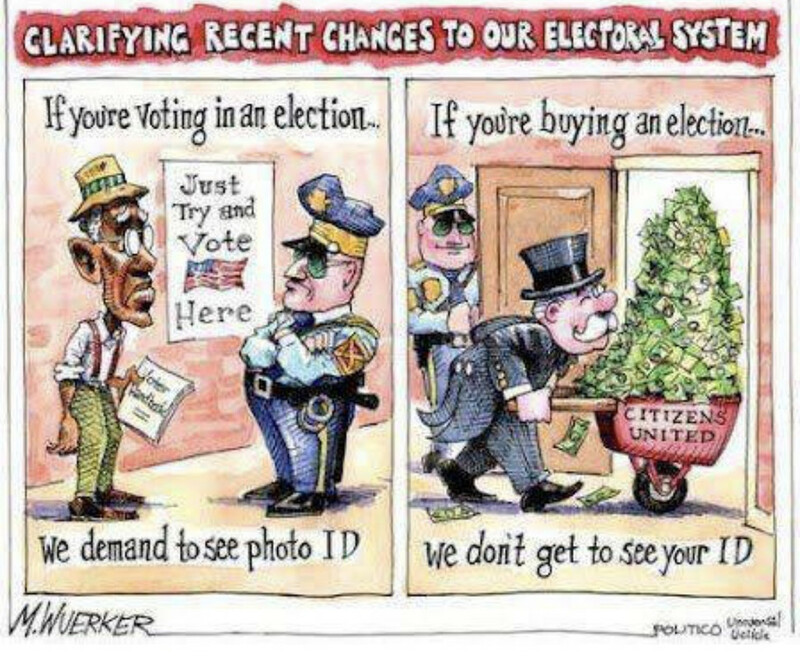 You don’t need an ID to buy an election, just to vote in one. Just where outside of Washington, you ask? Why Denver, of course! Curious that it was assigned to the Tenth Circuit, whence came the sophomore Justice Gorsuch.